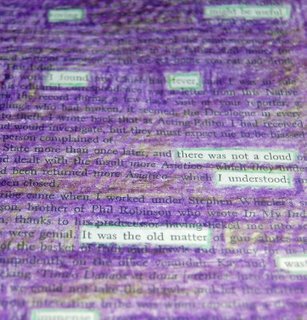 Blackout poems. Altered books. Found poems. I love them all. Lately, inspired by Karen Hatzigeorgiou, Austin Kleon and other word-artists, I've been scratching away words to find new thoughts within established text. Last month, I led the Writing Club (a group of eager and willing middle schoolers at the Waldport Community Learning Center) in 'finding' poems within old book pages. We used crayons to find fresh words and phrases, and created poems along the way. I know, I know, it doesn't seem right to defile a hallowed text but this book was headed for the bin. In a way, we saved it from its dumpster doom. There's something a bit naughty, and therefore alluring, in doing what you've been told is wrong. And that feeling provides us permission to break rules and make art.